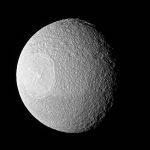 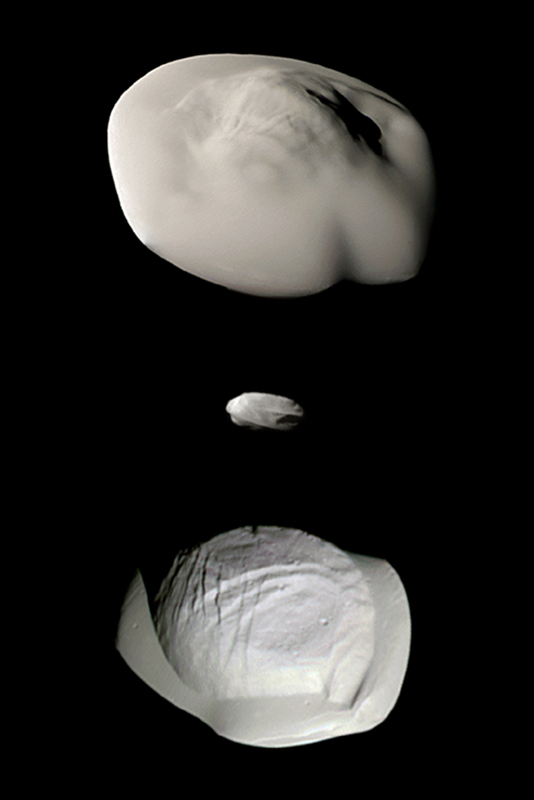 Dione’s lit hemisphere faces away from Cassini’s camera, yet the moon’s darkened surface features are dimly illuminated in this image, due to Saturnshine. 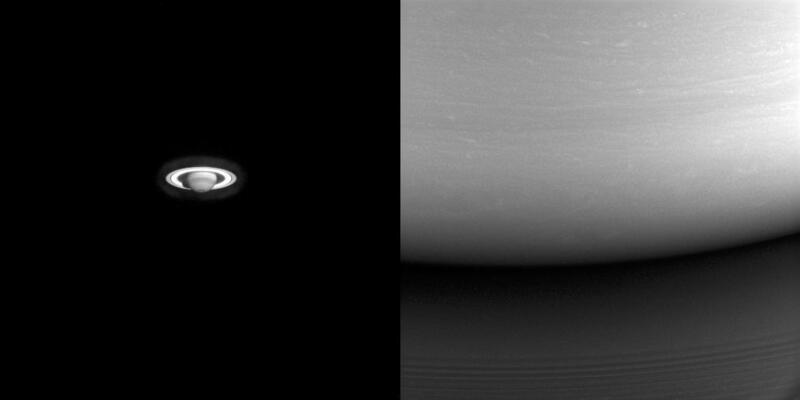 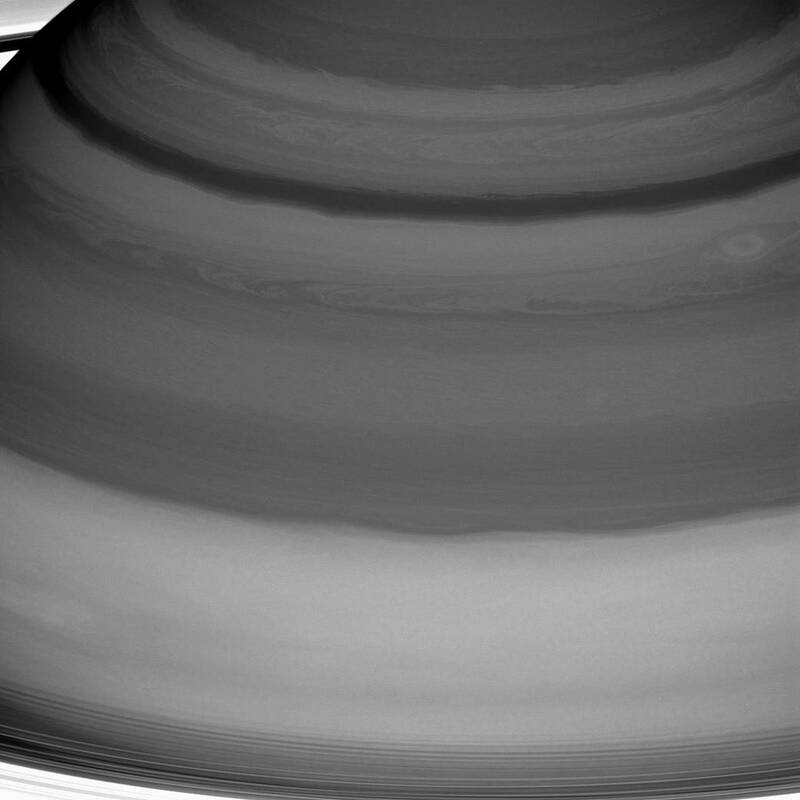 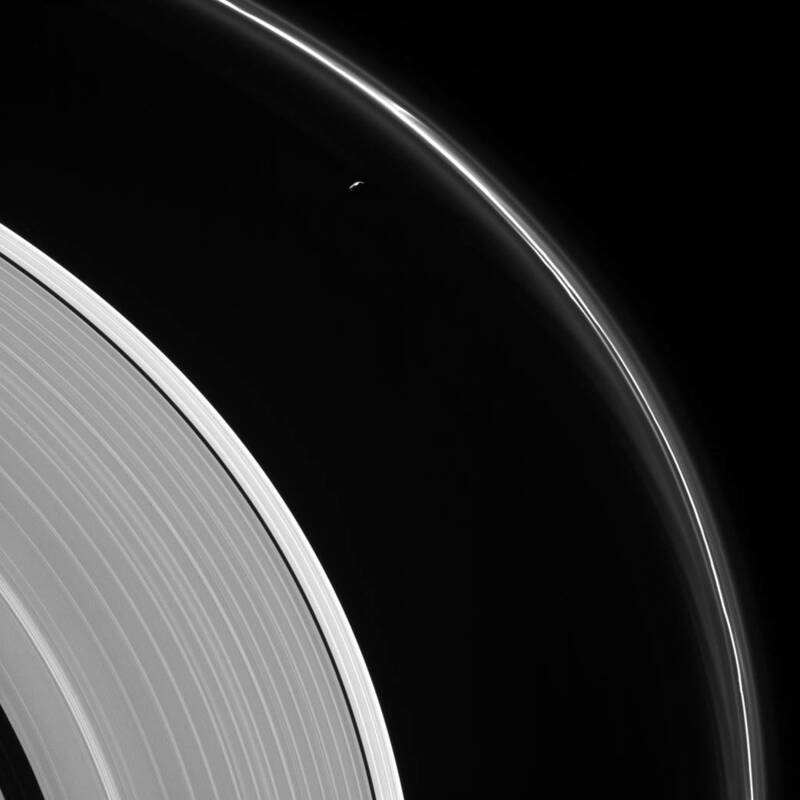 Although direct sunlight provides the best illumination for imaging, light reflected off of Saturn can do the job as well. 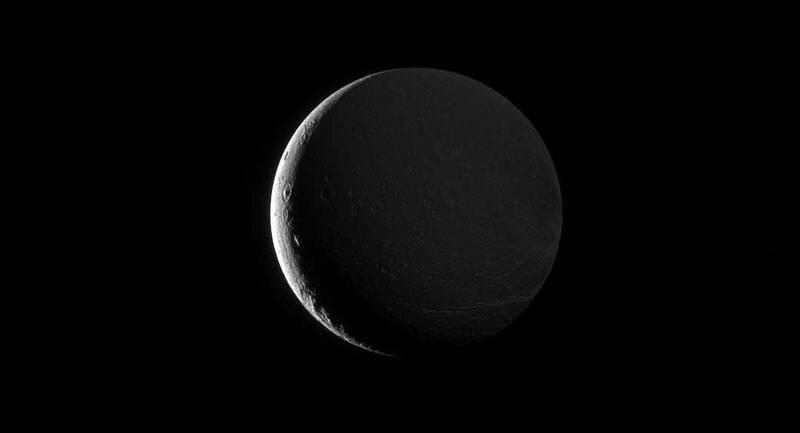 In this image, Dione (698 miles or 1,123 kilometers across) is above Saturn’s day side, and the moon’s night side is faintly illuminated by sunlight reflected off the planet’s disk.